Well no, but they do hang out together in a novel, along with Sylvia Plath, Paul Auster, Margaret Atwood, W.B. Yeats, and others. 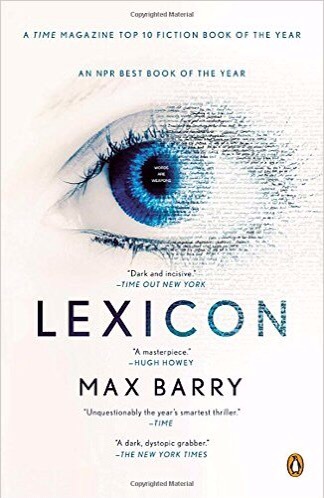 It’s Lexicon by Max Barry. “A cerebral thriller,” according to one blurb; “dark and twisted and sweet and humane all at once,” says another. It starts with two guys grabbing a man named Wil in an airport bathroom and putting a needle in his eye to extract memories and lethal words. And they have to hurry or Wolf will get him first. On page 46—at last!—one of the guys, Tom, explains that they’re called poets because they’re good with words. They’re quick and smart and persuasive, and when their raw potential is detected, they’re recruited from all over and sent to a special school to learn how to manipulate minds with secret words. Only the best will graduate and be given their names. Wolf is a poet, Wolf who turns out to be Woolf. “Virginia Woolf is trying to kill me?” asks Wil. “Among others. But Woolf is the one to worry about,” replies Tom, who turns out to be Eliot. It takes a long time to separate the good guys from the bad, and then you got it wrong, or maybe not, and you’re still not sure. Did Woolf kill everyone in an Australian town? Which side is Tom on? Why is Charlotte driving a transport truck straight at them? Where does Wil fit in–he’s not Shakespeare, not a poet. And why am I reading this bizarre novel? If I wondered to what lengths I’d go to chase down Woolf sightings in contemporary fiction, now I know. If I wondered to what lengths I’d go to make it up to Paula for not posting as often as I should on Blogging Woolf, now I know. The violence was off-putting, and I wasn’t sure I wanted to keep reading; then I was hooked. People being murdered at close range on one page, thought-provoking gems about the power of language on another. And Woolf. That’s what I never figured out—why Woolf? All the rest are actual poets or at least, like Bronte and Atwood, have written poetry as well as prose. Max Barry has a Q&A feature on his website, and I asked him about this, but I haven’t gotten a response—I’ll let you know if I do. Hollis was part of a fascinating panel titled “Woolf’s Legacy to Female Writers,” along with Eva Mendez, who spoke about Alice Munro, and Amy Muse, who spoke about Sarah Ruhl. 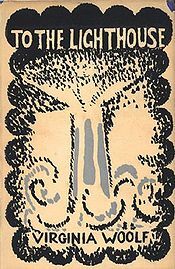 Hollis also wrote a review of Yuknavitch’s novel for Public Books in which she connects it to Woolf’s critique of gendered violence. 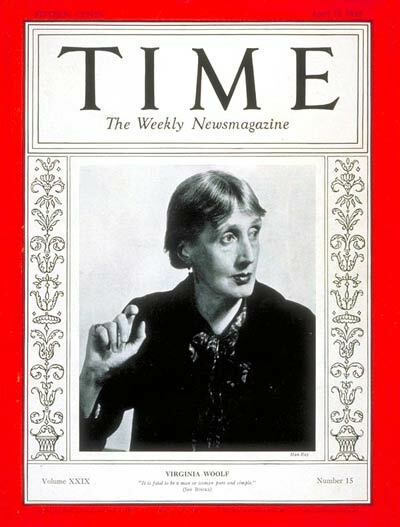 “The Woolf Girl” appears in the December 15 issue of the online review site devoted to interdisciplinary discussion of books and the arts. Those of us on this side of the pond, without access to BBC programming, are wishing and waiting—patiently or impatiently—for the as-yet unannounced release of “Life in Squares” to PBS. “Reading Virginia Woolf is like stepping out onto a veranda, where the entire world unfurls before you in dazzling detail.” So begins an inviting introduction to Woolf and specifically to a recommendation of To the Lighthouse. Woolf joins an eclectic array of companions, authors of both fiction and nonfiction, ranging from Mary Shelley and George Eliot to contemporary greats Toni Morrison and Margaret Atwood, thought-provoking essayists Joan Didion and Rebecca Solnit, cartoonist Alison Bechdel and others. 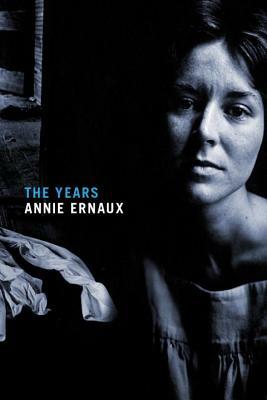 We would all make some swaps—I’d make room for Mary McCarthy, Alice Munro, Penelope Lively—but there’s something for everyone here, both tried and true favorites and some new discoveries. I’ve been wanting to read Clarice Lispector for years—perhaps this is the sign I’ve been waiting for. I’d rather be watching Life in Squares, but what can you do? 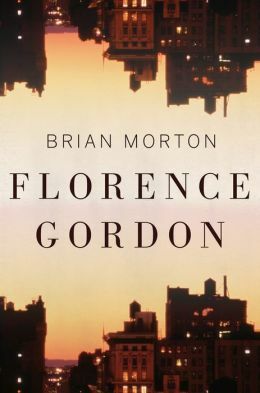 I just read Brian Morton’s latest novel, Florence Gordon, and loved his protagonist, a 75-year-old New York curmudgeon and intellectual, an activist and celebrated feminist author. A Woolf sighting was almost a foregone conclusion. Virginia Woolf in old age? The implications are frightening, but I guess 59 is old to a 24-year-old grad student…..
Who’d have figured? 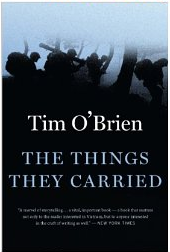 Tim O’Brien’s “The Things They Carried” is a classic, the title story in a collection of linked pieces that I’ve long heard is a “must read” for writers. So it caught my attention when I noticed it at the library recently, and I plucked it off the shelf. Finally, I thought. First Lieutenant Jimmy Cross carried letters from a girl named Martha…. More than anything, he wanted Martha to love him as he loved her, but the letters were mostly chatty, elusive on the matter of love. She was a virgin, he was almost sure. She was an English major at Mount Sebastian, and she wrote beautifully about her professors and roommates and midterm exams, about her respect for Chaucer and her great affection for Virginia Woolf. The surprising Woolf sighting made me think about Septimus Smith and his wartime experiences, the horrors that haunted him for the rest of his brief life. Different war, same horrors—it never ends. I read a few more stories—they’re compelling and well written—but soon I’d had enough and returned the book to the library. Two years ago I wrote here about Meg Wolitzer’s Woolf-citing in The Uncoupling. To my surprise and delight, Meg commented on the post, saying that Woolf would appear in her next novel too. I’ve always enjoyed Meg’s novels for a lighter touch, lots of wit and whimsy. This one’s bigger and deeper. She introduces six teenagers who meet at an artsy summer camp in New England and follows them into their 50s, through ups and downs, sickness and health, fame and fortune, failure and envy. 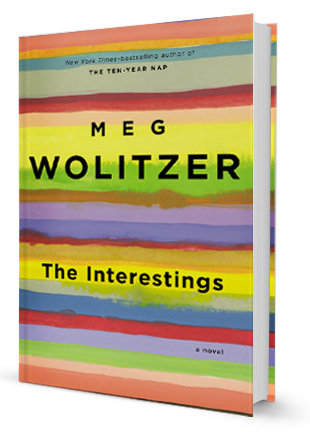 There’s wit and whimsy and a whole lot more—irony isn’t new to Meg Wolitzer; she’s a master at it. The success of The Interestings is well-deserved. Meg, if you’re reading this, thanks for a terrific reading experience.